Reflecting the contributions of M. Brewster Smith to social psychology and personality study, this selection includes not only his best known essays but also previously unpublished material. Professor Smith's consistent striving for a psychology both scientific and humane unifies the collection; it is a valid and valuable overview of the relevance of social psychology to human experience and societal problems by a man at the midstream of his career.An introductory essay traces the major themes in Professor Smith's work. Part I discusses the interdisciplinary relations of social psychology with other behavioral sciences; it shows that social psychology, standing at the crossroads of the social sciences, must articulate its contributions with those of the other disciplines, and it delineates the problems involved in this articulation. 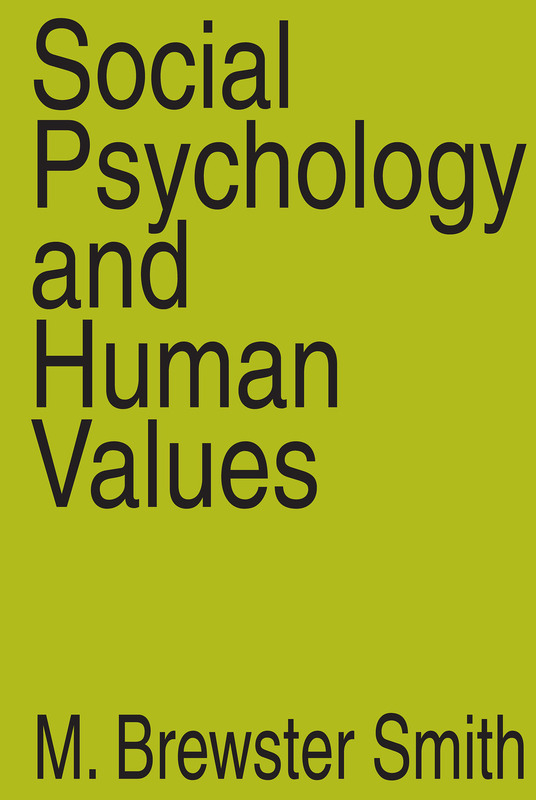 Part II presents the author's principal contributions to the social psychology of attitudes and values, a central topic in the field, in which he is a major proponent of the functional approach. Part III is devoted to the broader issues of personality theory, focusing on the "self" as the object of personal attitudes and including a classic paper on the phenomenological approach.Parts IV and V probe human effectiveness and "mental health," consider the social development of personal competence, and examine from a social psychological perspective a variety of social problems -foreign students and cross-cultural education, population growth, ethnic prejudice, and student protest. The final group of essays deals with perennial human concerns: the nature of rationality, the ethics of behavioral research, the psychology of literature, and the problems of evil. The Revolution in Mental Health Care— A “Bold New Approach"?